A dhimmi ([ðimi]; Arabic: ذمي, meaning "protected person") refers to specific individuals living in Muslim lands, who were granted special status and safety in Islamic law in return for paying the capital tax. This status was originally only made available to non-Muslims who were People of the Book, namely, Jews and Christians), but was later extended to include Zoroastrians, Mandeans, and, in some areas, Hindus and Buddhists. The term connotes an obligation of the state to protect the individual, including the individual's life, property, and freedom of religion and worship, and required loyalty to the empire, and a poll tax known as the jizya. Dhimmi had fewer legal and social rights than Muslims, but more rights than other non-Muslim religious subjects. This status applied to millions of people living from the Atlantic Ocean to India from the seventh century until modern times. Conversion by a dhimmi to Islam was generally easy, and almost without exception emancipated the new convert from all legal impairments of his previous dhimmi status. Violently forced conversion was rare or unknown in early Islamic history, but increased in frequency in later centuries, such as in the Almohad dynasty of North Africa and al-Andalus. "Before launching an attack he (Muhammed) would offer them three choices—conversion, payment of a tribute, or to fight by the sword. If they did not choose conversion a treaty was concluded, either instead of battle or after it, which established the conditions of surrender for the Christians and Jews—the only non-Muslims allowed to retain their religion at this time. The terms of these treaties were similar and imposed on the dhimmi, the people ‘protected’ by Islam, certain obligations." In the ninth century, the Muslim historian Baladhuri drew parallels between the dhimma and Byzantine legislation, writing that Jews had been the dhimmis of Christians. Modern historians also agree that laws relating to Jews and non-Melkite Christians in the Byzantine Empire and those applying to Jews and Christians in the Sassanid Persian Empire were used as sources of dhimmi regulations, although Islamic jurists never explicitly acknowledge these sources. Numerous provisions of the Theodosian Code of 438 and the Justinian's Code of 529 appear to have migrated into Islamic law virtually unchanged. Under Byzantine rule, Jews were obliged not to pray loudly; and their prayers were not to be audible in the nearby church. Building new synagogues (and repairing existing ones) was likewise prohibited, unless the buildings threatened to collapse and a special permission was obtained. Jews were banned from all public offices and the army; they were prohibited from criticizing Christianity, marrying a Christian, or owning a Christian slave. Furthermore, Jews paid distinctive taxes, possibly the precursors of jizya. Such regulations, justified by Hadith came to be imposed upon Christians under the dhimma arrangements, after Byzantine lands were occupied by Muslim forces. Both the Holy Qur'an and the Hadith also provided precedents for the allowance of the Dhimmi as protected people under Islam. In particular, Sura 9:29 of the Qur'an. reads: "Fight those who believe not in Allah nor the Last Day, nor hold forbidden that which hath been forbidden by Allah and His Messenger, nor acknowledge the religion of Truth, (even if they are) of the People of the Book, until they pay the jizya with willing submission, and feel themselves subdued [Arabic: صاغرون 'saghiroon']." [Quran 9:29]. Majid Khadduri cites a similar hadith in regard to the status of the Dhimmis: Whoever wrongs one with whom a compact has been made [i.e., a dhimmi] and lays on him a burden beyond his strength, I will be his accuser. The jurists of the seventh and eighth centuries C.E. took a relatively humane and practical attitude towards dhimmis in contrast to the eleventh century commentators writing when Islam was under threat both at home and abroad. The eighth-century jurist Abu Ubayd, author of a classical treatise on taxation, insists that dhimmis must not be burdened beyond their capacity or caused to suffer. The great jurist Abu Yusuf, also of the eighth century, also rules against a humiliating procedure of exacting jizya. He states: "No-one of the people of dhimma should be beaten in order to exact payment of the jizya (Taxation), nor made to stand in the hot sun, nor should hateful things inflicted upon their bodies, or anything of that sort. Rather they should be treated with leniency." Abu Yusuf however insisted that the specified tax must be exacted from Dhimmis and prescribed imprisoning for those who do not pay the tax completely. 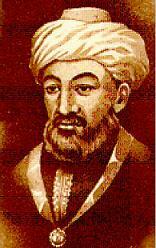 Maimonides (pictured) narrowly escaped death during the massacre of dhimmis in Cordoba. In the twelfth century, rulers of the Almohad dynasty killed or forcibly converted Jews and Christians in Al-Andalus and the Maghreb, putting an end to the existence of Christian communities in North Africa outside Egypt. In an effort to survive under Almohads, most Jews resorted to practicing Islam outwardly, while remaining faithful to Judaism; they openly reverted to Judaism after Almohad persecutions passed. During the Cordoba massacre of 1148, the Jewish philosopher, theologian, and physician Maimonides saved his own life only by converting to Islam; after Maimonides moved to Egypt, this conversion was ruled void by a Muslim judge who was a friend and patient of Maimonides. As a result of Almohad persecutions and other forced conversions that took place in Morocco afterwards, several Muslim tribes in the Atlas Mountains, as well as many Muslim families in Fez, have Jewish origin. Although Lewis claims they were very rare overall, most forced conversions of dhimmis that did happen occurred in Persia. In 1656, Shah Abbas I expelled the Jews from Isfahan and compelled them to adopt Islam, although the order was subsequently withdrawn, possibly because of the loss of fiscal revenues. In the early eighteenth century, Shia' clergy attempted to force all dhimmis to embrace Islam, but without success. In 1830, all 2500 Jews of Shiraz were forcibly converted to Islam. In 1839, Jews were massacred in Mashhad and survivors were forcibly converted. The same fate awaited the Jews of Barforoush in 1866, even though they were allowed to revert to Judaism after an intervention from the British and French ambassadors. Sporadic waves of forced conversion occurred at different times and places: for example, in Libya in 1558-1589, in Tabriz in 1291 and 1338, and in Baghdad in 1333 and 1344. Dhimmis were allowed to "practice their religion, subject to certain conditions, and to enjoy a measure of communal autonomy" that guaranteed their personal safety and security of property, in return for paying tribute and acknowledging Muslim supremacy. Taxation from the point of view of the Muslim conqueror was a material proof of the dhimmi's subjection. Various restrictions and legal disabilities were placed on Dhimmis, such as prohibitions against bearing arms or giving testimony in courts in cases involving Muslims. Most of these disabilities had a social and symbolic rather than a tangible and practical character. All of them, however, were designed to eliminate other religions in a deliberate, long-term process. Although persecution in the form of violent and active repression was rare and atypical, the limitations on the rights of dhimmis made them vulnerable to the whims of rulers and the violence of mobs. In general, the Muslim attitude toward dhimmis was one of contempt instead of hate, fear, or envy, and was rarely expressed in ethnic or racial terms. In his classic treatise on the principles of Islamic governance, the eleventh-century Shafi'i scholar Al-Mawardi divided the conditions attached to ‘’dhimma’’ on top of the requirement to pay tribute into compulsory and desirable. The compulsory conditions included prohibitions on blasphemy against Islam, entering into sexual relations or marriage with a Muslim woman, proselytizing among Muslims, and assisting the enemies of Islam. The desirable conditions included a requirement to wear distinctive apparel, a prohibition to visibly display religious symbols, wine, or pork, ringing church bells, or loudly praying, a requirement to bury dead bodies unobtrusively, and finally, a prohibition on riding horses or camels, but not donkeys. The latter restrictions were largely symbolic in nature and were designed to highlight the inferiority of dhimmis compared to Muslims. The treatment of dhimmis, including the enforcement of restrictions placed on them, varied over time and space, depending on both the goodwill of the ruler and the historical circumstances. The "dhimma" was the most oppressive in Morocco, where Jews were subjected to what Norman Stillman called “ritualized degradation”, as well as in Yemen and Persia. The periods when Islamic states were strong generally coincided with more relaxed attitude towards dhimmis; however, treatment of non-Muslims usually became harsher when Islam was weak and in decline. Over time, the treatment of dhimmis tended to develop in cycles, such that periods of when restrictions imposed on dhimmis were relaxed were immediately followed by the periods of pious reaction when such restrictions came to be enforced again. Dhimmis had the right to choose their own religious leaders: patriarchs for Christians, exilarchs and geonim for Jews. However, the choice of the community was subject to the approval of the Muslim authorities, who sometimes blocked candidates or took the side of the party that offered the larger bribe. As required by the Pact of Umar, dhimmis had to bury their dead without loud lamentations and prayers. Incidents of harassment of dhimmi funeral processions by Muslims, involving pelting with stones, battery, spitting, or cursing, even by Muslim children, were common regardless of place and time. There was no consensus in Islamic jurisprudence as to whether it was permissible for dhimmis to repair churches and synagogues. The Pact of Umar puts an obligation on dhimmis not to "restore, by night or by day, any [places of worship] that have fallen into ruin," and Ibn Kathir adhered to this view. At the same time, al-Mawardi wrote that dhimmis may "rebuild dilapidated old temples and churches". As in the case of building new houses of worship, the ability of dhimmi communities to repair churches and synagogues usually depended upon its relationship with local Muslim authorities and its ability to pay bribes. According to the Shafi'i Islamic jurist al-Nawawi, dhimmis could not use churches and synagogues if their land was conquered by attack. In such lands, as well as in towns founded after the conquest, or where inhabitants voluntarily converted wholesale to Islam, Islamic law does not allow dhimmis to build new churches and synagogues, or expand or repair existing ones, even if they fall into ruin. If the country submitted by capitulation, al-Nawawi wrote, dhimmis were permitted to build new houses of worship only if the capitulation treaty stated that dhimmis remained owners of their land. In observance of this prohibition, Abbasid caliphs al-Mutawakkil, al-Mahdi and Harun al-Rashid ordered the destruction, in their realms, of all churches and synagogues built after the Islamic conquest. In the eleventh century, the Fatimid caliph al-Hakim oversaw over the demolition of all churches and synagogues in Egypt, Syria and Palestine, including the Church of the Holy Sepulchre in Jerusalem. However, al-Hakim subsequently allowed the rebuilding of the destroyed buildings. Blasphemy by both Muslims and by dhimmis was severely punished. The definition of blasphemy included defamation of Muslim holy texts, denial of the prophethood of Muhammad, and disrespectful references to Islam. Scholars of the Hanbali and Maliki schools, as well as the Shi’ites, prescribe a death penalty for blasphemy, while Hanafis and to some extent Shafi’is advocate flogging and imprisonment in some cases, reserving the death penalty only for habitual and public offenders. Al-Mawardi treat blasphemy as a capital crime. Many dhimmis were executed as a result of accusations that they insulted Islam. Although some deliberately sought martyrdom, many blasphemers were insane or drunk; it was not uncommon for the blasphemy accusation to be made due to political considerations or private vengeance, and the fear of a blasphemy charge was a big factor in the fearful and subservient attitude of dhimmis toward Muslims. As Edward William Lane put it describing his visit to Egypt: "[Jews] scarcely ever dare to utter a word of abuse when reviled or beaten by the meanest Arab or Turk; for many a Jew have been put to death upon a false and malicious accusation of uttering disrespectful words against the Kuran or the Prophet". Accusations of blasphemy provoked acts of violence against the entire dhimmis communities, as it happened in Tunis in 1876, Hamadan in 1876, Aleppo in 1889, Sulaymaniya in 1895, Tehran in 1895, or Mosul in 1911. Dhimmi communities were subjected to the payment of taxes in favor of Muslims — a requirement that was central to dhimma as a whole. Sura 9:29 stipulates that jizya be exacted from non-Muslims as a condition required for jihad to cease. Failure to pay the jizya could result in the pledge of protection of a dhimmi's life and property becoming void, with the dhimmi facing the alternatives of conversion, enslavement or death (or imprisonment, as advocated by Abu Yusuf, the chief qadi — religious judge — of Abbasid caliph Harun al-Rashid). The importance of dhimmis as a source of revenue for the Muslim community is illuminated in a letter ascribed to Umar I and cited by Abu Yusuf: "if we take dhimmis and share them out, what will be left for the Muslims who come after us? By God, Muslims would not find a man to talk to and profit from his labors." The two main taxes imposed on dhimmis are known as jizya — a poll tax — and kharaj — a land tax. Early chronicles use these terms indiscriminately; only later did the kharaj emerge as a tax payable by a farmer regardless of his religion. In an important early account, Malik's Muwatta reports that the jizya was collected from men only; dhimmis were exempt from zakat; and additional taxes were to be levied against dhimmis who travelled on business. The eighth-century scholar Abu Ubayd advised that dhimmis must not be burdened above their capacity or caused to suffer. Al-Nawawi, however, dissents, demanding "the poll tax to be paid by dying people, the old, … the blind, monks, workers, and the poor, incapable of practicing a trade." The latter view was often applied in practice, as contemporary non-Muslim sources give witness of taxation even of dead persons, widows, and orphans. Al-Nawawi demands that the unpaid amount of poll tax remain a debt to the dhimmi’s account until he becomes solvent. In the Ottoman Empire, dhimmis had to carry a receipt certifying their payment of jizya at all times or be subject to imprisonment. Although in general dhimmis had to pay higher taxes (despite not having to pay zakat), Lewis notes that there are varying opinions among scholars as to how much of an additional burden this was. According to Norman Stillman: "Jizya and kharaj were a crushing burden for the non-Muslim peasantry who eked out a bare living in a subsistence economy." Ultimately, the additional taxation was a critical factor that drove many dhimmis to accept Islam. When a case pitched a Muslim against a dhimmi, the word of Muslim witnesses nearly always carried more weight than that of dhimmis. According to Hanafi jurists, dhimmi testimony and oaths were not valid against Muslims. On the other hand, Muslims could testify against dhimmis. This legal disability put dhimmis in a precarious position where they could not defend themselves against false accusations leveled by Muslims, except by hiring Muslim witnesses and bribing qadis. Bat Ye'or believes that apart from breeding corruption, the prohibition on non-Muslim testimony deepened the rift between communities, as dhimmis sought to reduce the possibility of conflict by limiting contact with Muslims. The Hanafi school, which represents the vast majority of Muslims, believes that the murder of a dhimmi must be punishable by death, citing a hadith according to which Muhammad ordered the execution of a Muslim who killed a dhimmi. In other schools of Islamic jurisprudence the maximum punishment for the murder of a dhimmi, if perpetrated by a Muslim, was the payment of blood money; no death penalty was possible. For Maliki and Hanbali schools of jurisprudence, the value of a dhimmi's life was one-half the value of a Muslim's life; in the Shafi'i school, Jews and Christians were worth one-third of a Muslim, and Zoroastrians were worth just one-fifteenth. In accordance with the Pact of Umar, dhimmis had no right to bear arms of any kind. The few exceptions to this rule were some Jewish tribes in the Atlas Mountains and in the Central Asia. Despite the prohibition to carry weapons, Muslim jurists allowed using a dhimmi as an auxiliary soldier "as one would use a dog". In the border provinces, dhimmis were sometimes recruited for military operations. In such cases, they were exempted from jizya for the year of service; however, they were not entitled to a share in the booty, receiving only a fixed stipend. Outbreaks of violence, including massacres and expulsions, directed against dhimmis became more frequent from the late eighteenth century onwards. In 1790, Jews were massacred in Tetouan and then in 1828, in Baghdad. In mid-nineteenth century a wave of violence and forced conversions of Jews swept across Persia: in 1834, Jews were massacred in Safed, in 1839 in Mashhad, and in 1867 in Barforoush. Other outbreaks followed in Morocco, Algeria, Tunisia, Libya, and other Arab countries of the Middle East. In 1860, 5000 Christians were massacred in Damascus. In nineteenth-century Iraq, especially in the area of Mosul, both Jews and Christians lived in a state of constant insecurity. "The Qur’an and tradition often use the word dhull or dhilla (humiliation or abasement) to indicate the status God has assigned to those who reject Mohammad, and in which they should be kept for so long as they persist in that rejection." "[Saaghiruuna means] submissively… by coercion… [’an yadin means] directly, not trusting the trickery of an intermediary… by force… without resistance… in an unpraiseworthy manner… while you stand [and the dhimmi] sits with the whip in front of you [you take] the money while he has dirt on his head. (Al-Suyuti's tafsir on Sura 9:29)." Echoing a saying attributed to Muhammad, Hasan al-Kafrawi, an 18th century scholar, advises that "if you [Muslims] encounter one of them [dhimmis] on the road, push him into the narrowest and tightest spot". Both Muslim sources and European travelers to the Middle East describe humiliations and insults of dhimmis, and especially of the Jews. Throwing of stones at dhimmis was a favorite amusement of Muslim children in many places from early times until nowadays. The annual payment ritual was not followed in parts of the Ottoman Empire, where jizya was collected from individuals by representatives of the dhimmi communities themselves. Dhimmis were frequently referred to by derogatory names, both in the official and in the everyday speech. In the Ottoman Empire, the official appellation for dhimmis was "raya," meaning "a herd of cattle." In the Muslim parlance, "apes" was the standard epithet for the Jews, while Christians were frequently denoted as "pigs." These animalistic parallels were rooted in the Qur'anic verses describing some "People of the Book" being transformed into apes and pigs (Qur'an [Quran 5:60]). "No one of the people of the dhimma should be beaten in order to exact payment of the jizya, nor made to stand in the hot sun, nor should hateful things be inflicted upon their bodies, or anything of that sort. Rather they should be treated with leniency." The dhimmis’ obligation not to build houses higher than those of Muslims is one of the clauses of the Pact of Umar, supported as a desirable condition of “dhimma” by the consensus opinion of Islamic scholars. According to Bat Ye’or, the rule was not always enforced; for example, no such laws were recorded in Muslim Spain, and in Tunisia Jews owned fine houses. Sometimes, Muslim rulers issued regulations requiring dhimmis to attach distinctive signs to their houses. In the ninth century, Abbasid caliph al-Mutawakkil ordered dhimmis to nail wooden images of devils to the doors of their homes. At about the same time in Tunisia, a qadi of the Aghlabid dynasty compelled dhimmis to nail onto their doors a board bearing the sign of a monkey. In Bukhara, Jews had to hang a piece of cloth out of their houses so that they could be distinguished from those of Muslims. Dhimmis were seldom prohibited from living in certain places, but there were some exceptions. In Morocco, where beginning from the fifteenth century and especially since the early nineteenth century, Jews were confined to mellahs—walled quarters, similar to European ghettos. Jews were also forced to live in separate quarters in Persia. Neither Jews nor Christians were allowed to live in Hejaz after Umar I had expelled them. Islamic jurists reject the possibility that a dhimmi man (and generally any non-Muslim) may marry a Muslim woman. According to Friedmann, Islamic law regarding mixed marriages developed out of three Quranic verses—[Quran 2:221], [Quran 60:10], and [Quran 5:5]. As some early Muslim scholars put it, Friedmann relates, such a marriage would lead to an incompatibility between the superiority of a woman by virtue of her being a Muslim and her unavoidable subservience to a non-Muslim husband. Friedmann also claims that some traditionalists compare marriage to enslavement and thus just like dhimmis are prohibited from having Muslim slaves, so dhimmi men are not allowed to have Muslim wives; conversely, Muslim men were allowed to marry women of the "People of the Book" because the enslavement of non-Muslims by Muslims is allowed. Azizah Y. al-Hibri states that the relevant hadith regarding marriage and slavery draw an analogy between the status of women and slaves in Muhammad's society in order to beseech the male audience to treat them kindly: "Be good to women; for they are powerless captives (awan) in your households. You took them in God’s trust, and legitimated your sexual relations with the Word of God, so come to your senses people, and hear my words…." For Christians, the process of conversion was slower — it is possible that as late as at the time of the Crusades Christians still constituted a majority of the population — but no less inexorable. The switch from a dominant to an inferior position proved too difficult for many Christians and they converted to Islam in large numbers. Christianity disappeared altogether in Central Asia, Yemen, and the Maghreb, when it was subjected to persecution by the Almohads. Christians continued to survive in Syria, Iraq, and Egypt, but their numbers were still reduced to a tiny minority. The relative resiliency of Christians in those countries stemmed from their subordinated position in the Byzantine Empire, which made them more amenable to accepting Muslim supremacy. Jews were the least affected. Accustomed to survival in adverse circumstances after many centuries of Roman and Byzantine persecutions, Jews saw the Islamic conquests as just another change of rulers; this time, not necessarily for the worse. Voluntary conversion among the Jews was rare, and they managed to preserve their religion all over the Muslim lands. During World War I, Christian minorities (Greek, Armenian, Assyrian) were persecuted in the Ottoman Empire. Beginning as forced expulsion, the Turkish government began conducting harsher pogroms against Christian minorities such as massacres of Armenians, Greeks and Assyrians as early as 1914. In 1915, Henry Morgenthau, Sr., the U.S. ambassador to the Empire, reported that 350,000 Armenians had been killed or starved. Prior to the U.S. entry in the war, the Turkish government also expelled American Christian missionaries from the country. The sum of these actions resulted in the Armenian Genocide, the Assyrian Genocide, the Pontic Greek Genocide and the Mount Lebanon Genocide. ↑ Annemarie Schimmel (2004), p.107, "The conqueror Muhammad Ibn Al Qasem gave both Hindus and Buddhists the same status as the Christians, Jews and Sabaeans the Middle east." They were all "dhimmi" ('protected people')"
↑ Ephraim Karsh. Islamic Imperialism: A History. (New Haven: Yale University Press, 2006. ISBN 0300106033), 29. ↑ Stillman, 1979, 304–305, and 201–203, for examples of specific incidents. ↑ From Al-Suyuti’s Durr al-Manthur … (Beirut, n.d.), vol. 3, 228. English translation from Andrew Bostom (2005), 127. ↑ Bat Ye’or, 1985, 64; see Lewis, 1984, 164–166; Stillman, 1979, 315–316, for some specific examples. ↑ Azizah Y. al-Hibri, 2003. ↑ The Encyclopedia of World History. bartleby.com. Retrieved September 16, 2008. ↑ The Encyclopedia of World History. bartylby.com. Retrieved September 16, 2008. ↑ The Encyclopedia of World History bartylby.com. Retrieved September 16, 2008. Bat Ye'or. Islam and Dhimmitude. Where Civilizations Collide. Madison/Teaneck, NJ: Fairleigh Dickinson University Press/Associated University Presses, 2002. ISBN 0838639437. __________. The Decline of Eastern Christianity under Islam. From Jihad to Dhimmitude: Seventh-Twentieth Century.) Madison/Teaneck, NJ: Fairleigh Dickinson University Press/Associated University Presses, 1996. ISBN 0838636888. __________. The Dhimmi: Jews and Christians under Islam. Madison, NJ: Fairleigh Dickinson University Press, 1985. ISBN 0838632629. Bostom, Andrew G. The Legacy of Jihad: Islamic Holy War and the Fate of Non-Muslims. Prometheus Books, 2005. Bravmann, Meïr M. "The ancient background of the Qur’ānic Concept Al-Ğizyatu ‘an Yadin." Arabica 13 (1966): 307. Bostom, Andrew, ed. The Legacy of Jihad: Islamic Holy War and the Fate of Non-Muslims. Prometeus Books, 2005. ISBN 1591023076. Cohen, Mark. Under Crescent and Cross: The Jews in the Middle Ages. Princeton University Press, 1995. ISBN 069101082X. Courbage, Youssef, and Philippe Fargues. Christians and Jews under Islam. London: I.B. Tauris Publishers, 1995. ISBN 1860642853. Eraqi-Klorman, Bat-Zion. The Jews of Yemen in the Nineteenth Century: A Portrait of a Messianic Community. (Brill's Series in Jewish Studies, Vol. 6) Leiden: Brill Academic Publishers, 1997. ISBN 9004096841. Friedmann, Yohanan Tolerance and Coercion in Islam: Interfaith Relations in the Muslim Tradition. Cambridge University Press, 2003. ISBN 0521827035. Goddard, Hugh. A History of Christian-Muslim Relations. Chicago: New Amsterdam Books., 2000. ISBN 1566633400. Goitein, S. D. Letters of Medieval Jewish Traders. Princeton University Press, 1974. ISBN 0691052123. Al-Hibri, Azizah Y. (2003). "An Islamic Perspective on Domestic Violence." 27 Fordham International Law Journal 195. Karsh, Ephraim. Islamic Imperialism: A History. New Haven: Yale University Press, 2006. ISBN 0300106033. Khadduri, Majid. War and Peace in the Law of Islam. (1955) reprint London: The Lawbook Exchange, Ltd., 2006. ISBN 1584776951. Lane, E. W. (Edward William), 1801-1876. An account of the manners and customs of the modern Egyptians. [Volume 1] [Electronic Edition] (1871). From Travelers in the Middle East Archive (TIMEA). . Retrieved April 2, 2009. Lapidus, Ira M. A History of Islamic Societies, 2nd Ed. Cambridge University Press, 2002. ISBN 0521779332. Lewis, Bernard. The Arabs in History. Oxford: Oxford University Press, 2002. ISBN 0192803107. __________. The Jews of Islam. Princeton: Princeton University Press, 1984. ISBN 0691008078. __________. Semites and Anti-Semites: An Inquiry into Conflict and Prejudice. New York: W.W. Norton & Co., 1999. ISBN 0393318397. Littman, David. "Jews Under Muslim Rule: The Case Of Persia." The Wiener Library Bulletin XXXII (New series 49/50) (1979). Al-Mawardi. The Ordnances of Government (Al-Ahkam al-Sultaniyya w’al-Wilayat al-Diniyya). Lebanon: Garnet Publishing, 2000. ISBN 1859641407. Parfitt, Tudor. Israel and Ishmael: Studies in Muslim-Jewish Relations. Palgrave Macmillan, 2000. ISBN 0312222289. Power, Samantha. A Problem from Hell: America and the Age of Genocide. New York: Harper Perennial, 2002. ISBN 0060541644. Simon, Reeva Spector, Ed., Michael Menachem Laskier, Ed., Sara Reguer, Ed. The Jews of the Middle East and North Africa in Modern Times. Columbia University Press, 2003. ISBN 023110796X. Stillman, Norman. The Jews of Arab Lands: A History and Source Book. Philadelphia: Jewish Publication Society of America, 1979. ISBN 1827601981. Tritton, Arthur S. (1930). The Caliphs and their non-Muslim Subjects: a Critical Study of the Covenant of Umar. reprint ed. London: Frazer Press, 2008. ISBN 1443787035. Wehr, Hans. in A Dictionary of Modern Written Arabic, J. Milton Cowan, ed. Ithaca, New York: Spoken Language Services, Inc., 1976. ISBN 0879500018. This page was last modified on 25 October 2017, at 14:37.